Just a couple of minutes ago, I sent out the first draft of #tnks to a few friends. Friends. Not literary critics. Not nitpickers. Not reviewers. Not editors. Simple folk like me. Who may someday want to pick up the book from the bookstores. The ones that I know want to see me succeed. The ones who were around when I needed them. Through thick and thin. Thank you guys. In advance. For reading the the raw, uncut version. The one that would contain most mistakes. The one that would be toughest to read. The one that would be blander than tasteless wine. To be honest, I had finished the draft almost half a month ago but then I had this serious case of butterflies in my stomach that I did not want to send it. I was am scared about opinions. 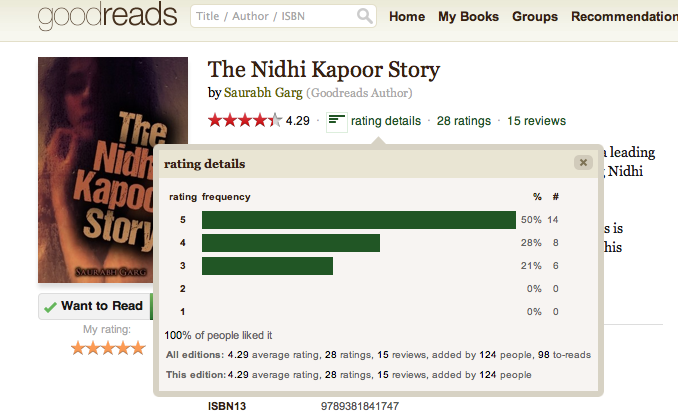 I am scared of comments, reviews that the story would elicit. The ones I have sent to, they are my best friends but they are also my toughest critics. They are the ones who would not hold anything back. They would be brutal. And to be honest, I may not be ready for the brutality. After all, this is the first time I am doing something entirely by myself. But guess these things have to be done. Someone, I think Murakami, said something about the pain that a butterfly has to go through to come out of its chrysalis. Honestly, I am not capable of understanding these heavy words and metaphysical emotions but I do know that I need to live through this pain if I want #tnks to see light of the day. That’s it for the update at this time. I am assuming that my friends would take a few weeks to get back to me. Lets see what they come up with. Till then, I would start thinking on the next one. And may be, start talking to a few publishers or agents. In the meanwhile, if anyone wants to read, do write in.